Leptospirosis can affect many animals, from wild to domesticated. It is rare in cats, but more common in dogs. Leptospirosis is a zoonotic disease, meaning it can be passed from animals to humans. Leptospirosis in humans can be flu-like or, left untreated, can be quite serious. Leptospirosis is a bacterial disease caused by a complex group of closely related bacteria of the genus Leptospira. There are several strains that occur in different locations and tend to affect certain species more than others. Leptospira bacteria survive especially well in warm, humid areas, and are often found in stagnant water like ponds. Wild animals can carry Leptospira. Therefore, dogs with a higher potential for exposure to contaminated water and exposure to wild animals and their urine are at a greater risk. This includes dogs living in rural areas or dogs that spend a lot of time outdoors like hunting dogs. Adult dogs, males, and large breed dogs appear to have a higher rate of infection. Any dog can be exposed, since urban wildlife such as rodents may carry the bacteria. Most infections happen in the summer and early fall, and outbreaks sometimes follow flooding. Leptospira bacteria are shed in the urine of infected animals, though they can be found in other body fluids and tissues. Dogs can become infected by exposure to contaminated water (both through ingestion or contact with mucous membranes or broken skin), exposure to urine from an infected animal (e.g. contaminated food, bedding, soil, etc. ), bite wounds, and ingestion of tissues from infected animals. Once Leptospira bacteria get into the body, they spread to many types of tissues. The immune system may clear the bacteria from most of the body, but the bacteria may "hide out" in the kidneys, and the bacteria can be shed in the urine for many months after infection. Treatment with antibiotics may help prevent long-term shedding in the urine. A definitive diagnosis is usually made by demonstrating the presence of the bacteria in samples, usually urine, or finding increasing levels of antibodies to Leptospira over time. By using a test called MAT, the vet will determine if an active immune response is present. A single antibody test may be positive due to past exposure to Leptospira bacteria (e.g. an infection with no symptoms) or vaccination. It is also important to note that Leptospira bacteria can be found in the urine of dogs that may not have active symptoms due to the Leptospira, so it is important to clarify if the symptoms are due to Leptospirosis or other possible causes. A variety of other laboratory tests and radiographs can help confirm the diagnosis. Antibiotics are used to kill Leptospira bacteria and are often given in two stages: one type of antibiotic to treat the initial infection followed up with a different kind of antibiotic to combat the shedding of bacteria in the urine. The earlier treatment is started, the better. Once kidney or liver failure is present, the prognosis for recovery is worse. In these cases, aggressive treatment is vital, including intravenous fluids, medications to reduce vomiting and treat other effects of kidney and liver failure, and dialysis. Depending on the severity of disease, treatment is not always successful when organ failure is present. Vaccines against Leptospirosis are available and recommended in areas where Leptospirosis is common. The vaccines are only produced for a few specific varieties of Leptospira and don't offer long-lasting immunity, so need to be repeated often. Although the vaccines are not 100 percent effective and do not protect against all types of Leptospira, vaccination is still recommended to help prevent a potentially serious disease that can be transmitted to people. Recommended vaccines and vaccination schedules should be discussed with your vet based on your dog's risk factors. Rodent control measures reduce the chances of infection, and in areas where Leptospirosis is common, preventing dogs from swimming in ponds and slow-moving water can also help. If your pet has been diagnosed with Leptospirosis, the risks can be managed primarily with careful hygiene. 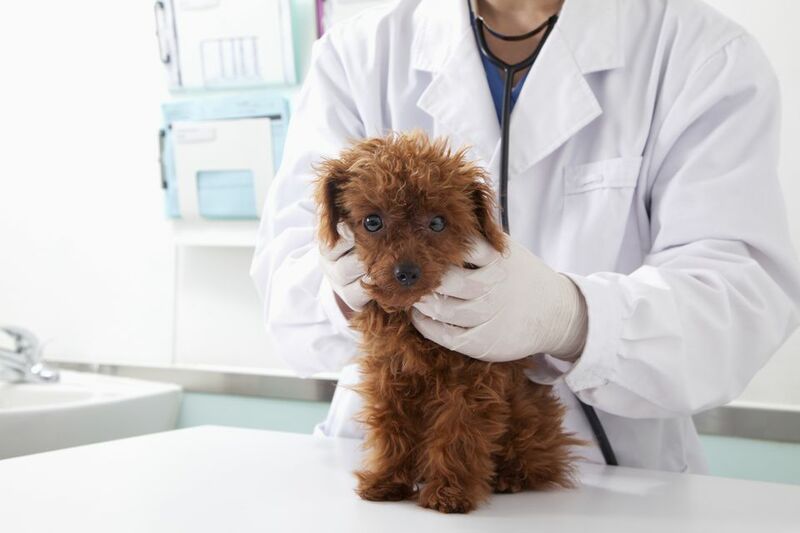 In reality, pets that do not show signs of infection (and therefore are not diagnosed and treated with antibiotics to stop the shedding of bacteria in the urine) probably pose a greater risk for transmission to unsuspecting owners. Avoid contact with urine if possible, and wear protective clothing (gloves, etc.) if you need to handle urine. Practice good hygiene including careful hand washing. Disinfect surfaces where infected pets have urinated (antibacterial disinfectant or diluted bleach solution). Follow your vet's advice for treatment and make sure all medications are given as directed. Leptospirosis can cause flu-like symptoms in people, which in some cases can progress to serious illness. If any people in contact with a dog diagnosed with Leptospirosis become ill, be sure to mention the dog's illness to health care providers (as a rule of thumb, it is always a good idea to mention pet exposure to health care providers when people in the family are ill or have a compromised immune system).